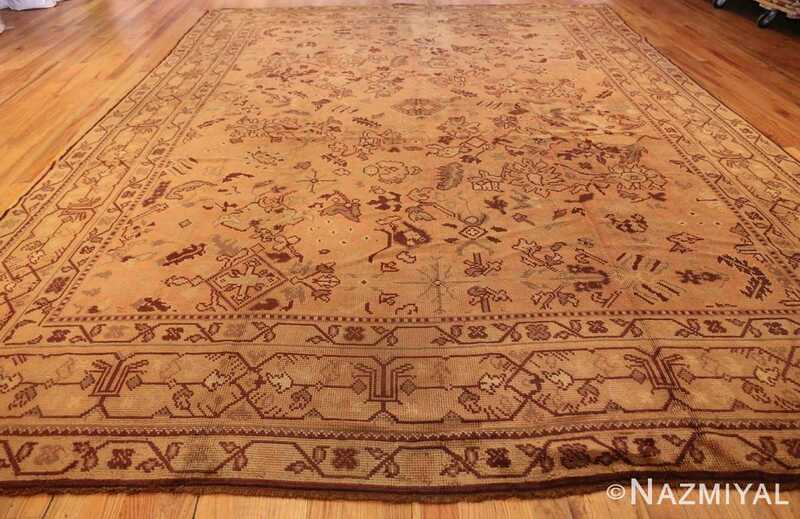 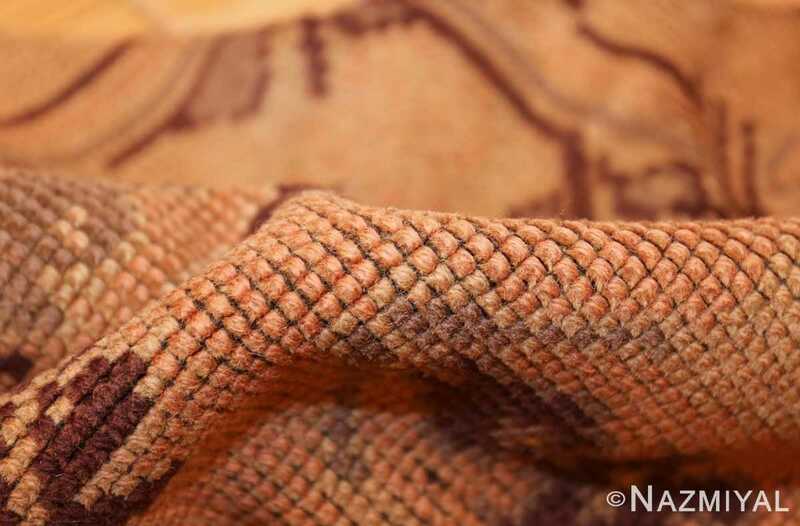 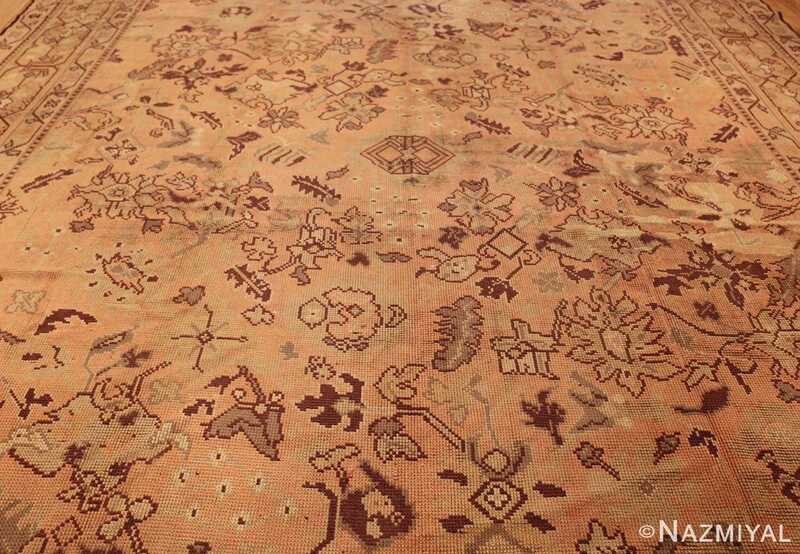 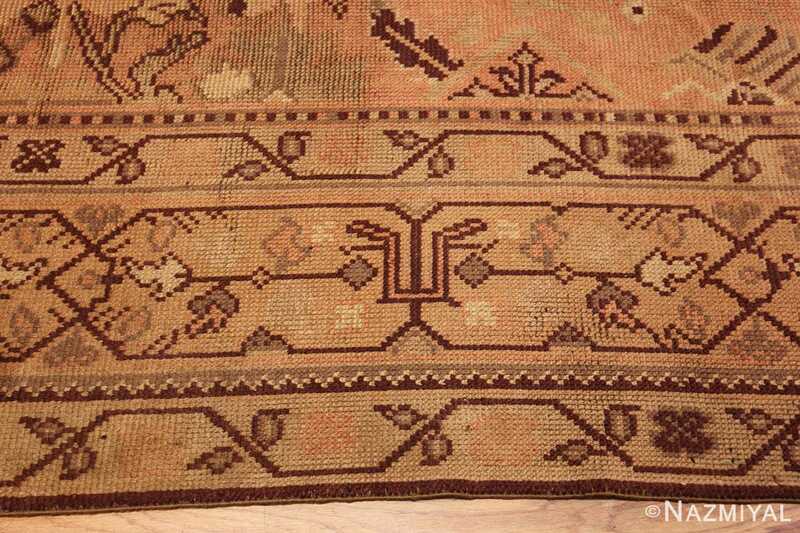 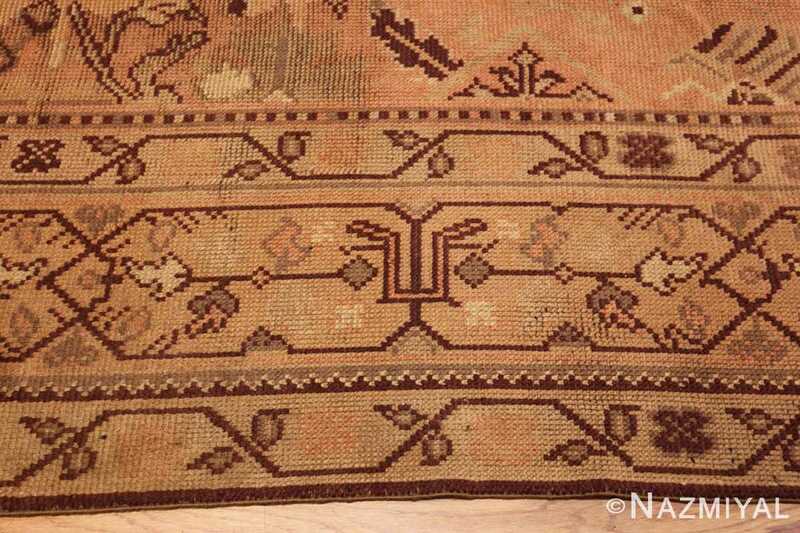 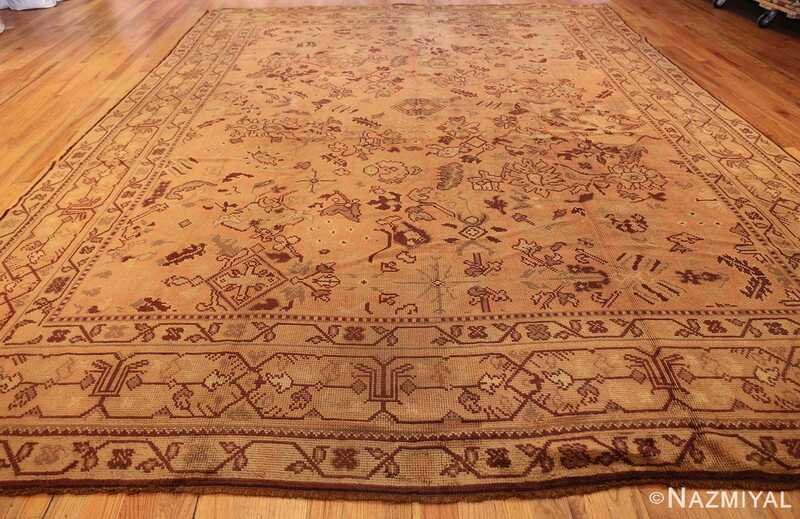 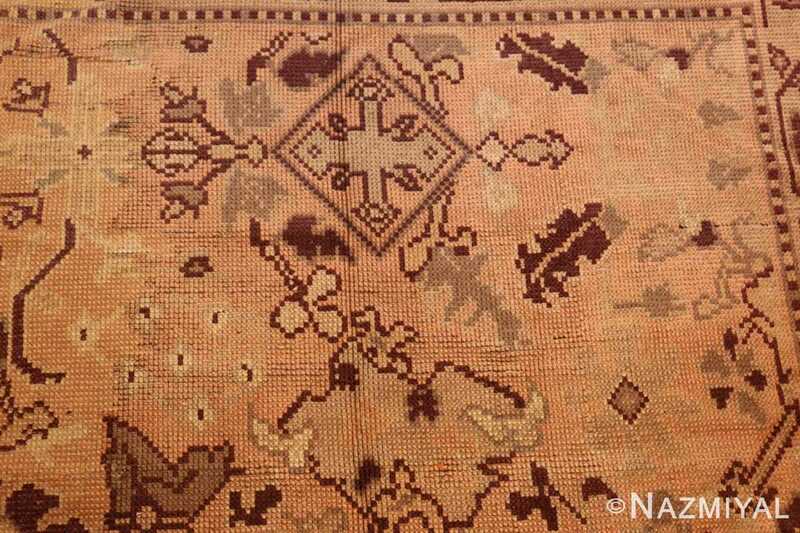 Characterized by a muted pallet of soft golden brown tones, this understated antique carpet from the United Kingdom represents a unique development in European rug weaving. 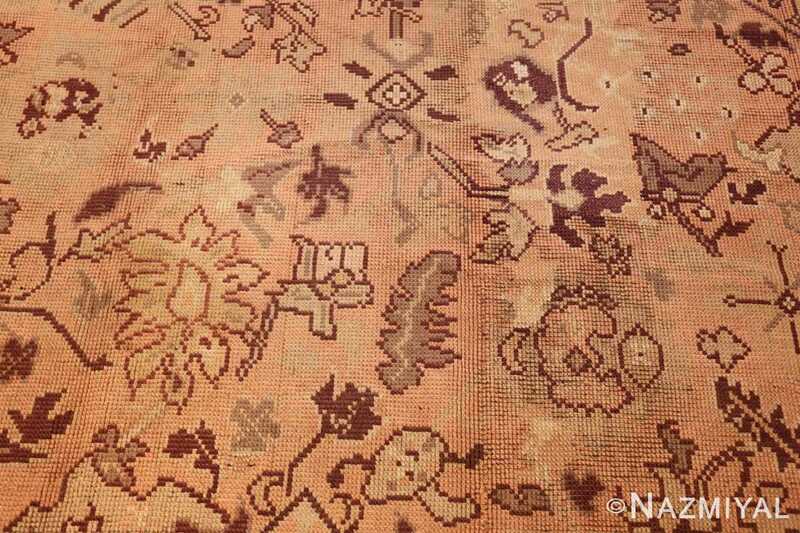 Shabby Chic Antique English Carpet, Origin: United Kingdom, Circa: First Quarter of the Twentieth Century – Here is a unique and exciting antique carpet – an antique shabby chic rug that was woven in England during the early decades of the twentieth century. Characterized by a muted pallet of soft golden brown tones, this understated antique carpet from the United Kingdom represents a unique development in European rug weaving. 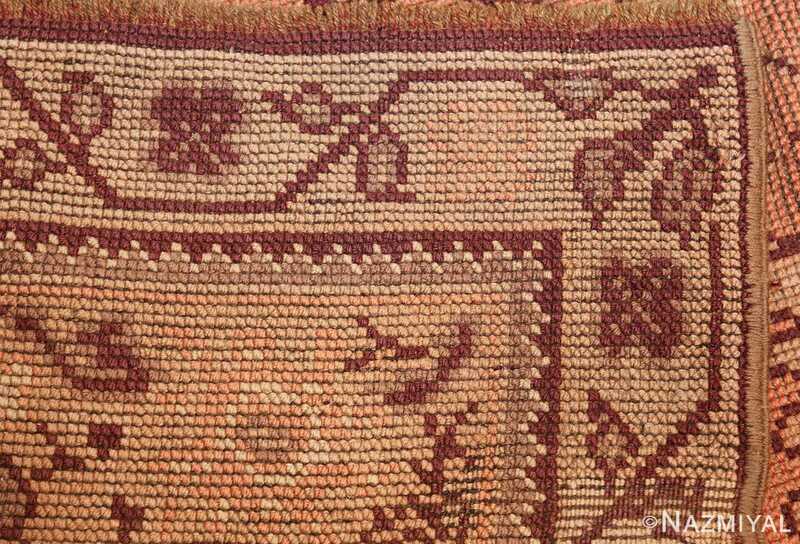 Beautiful rectilinear vinescrolls populate each of the borders, which are beautifully rendered: an inner and outer border with a simple vine scroll motif surround a primary border of a more complex design, wherein the vine scrolls crisscross and intersect, creating an intriguing geometric design. 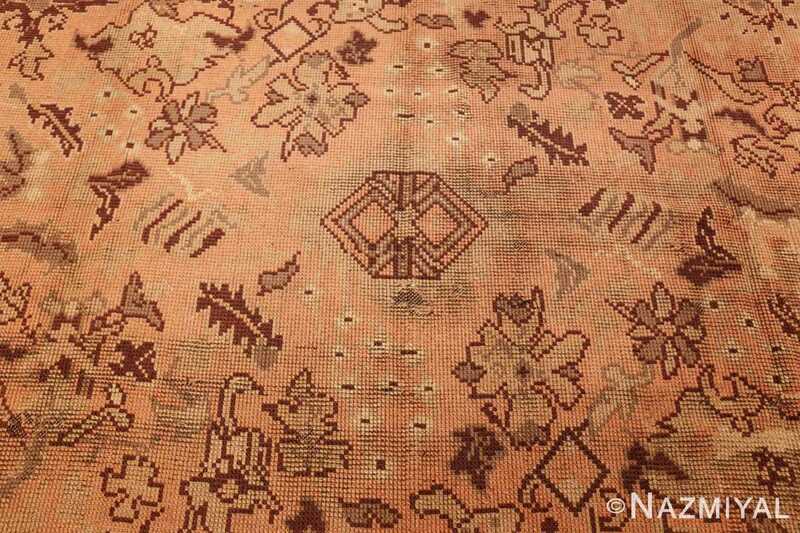 Throughout the field, a highly idiosyncratic pattern unfolds, consisting of a mixed bag of vegetative elements, geometric figures, and floral details. 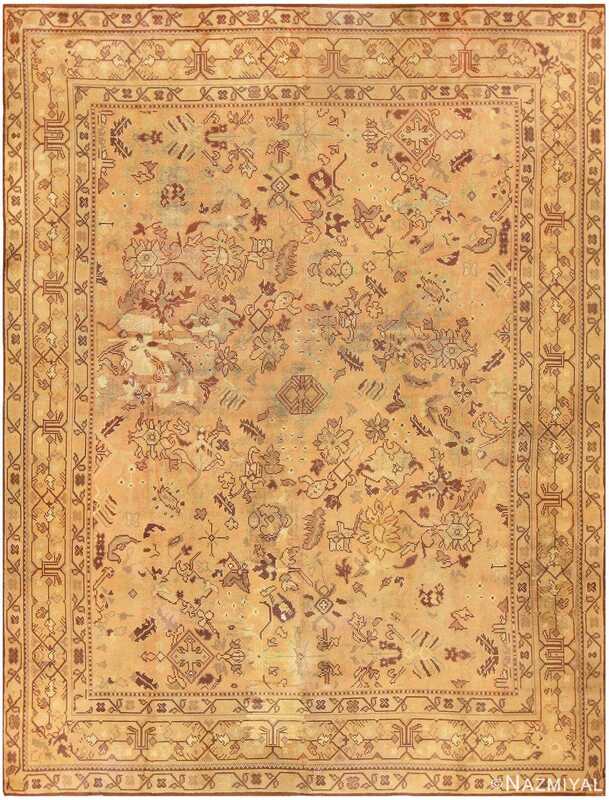 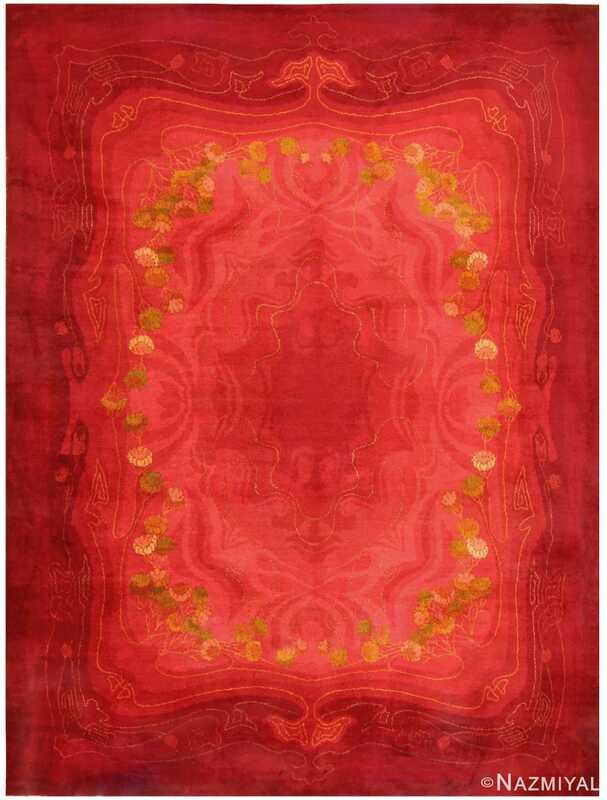 These play out asymmetrically, giving the entire carpet a sense of individuality, and even of impressionism. 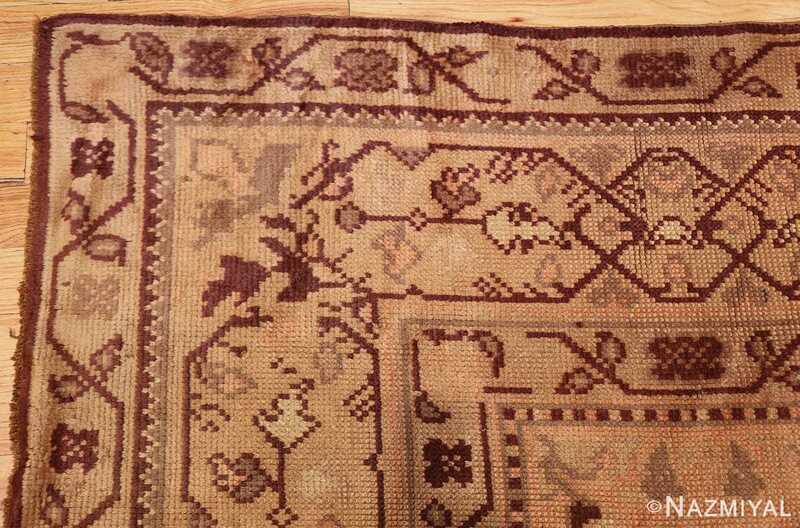 A beautiful and unique example, this shabby chic carpet from England is an exciting piece with a story and composition that is entirely its own. 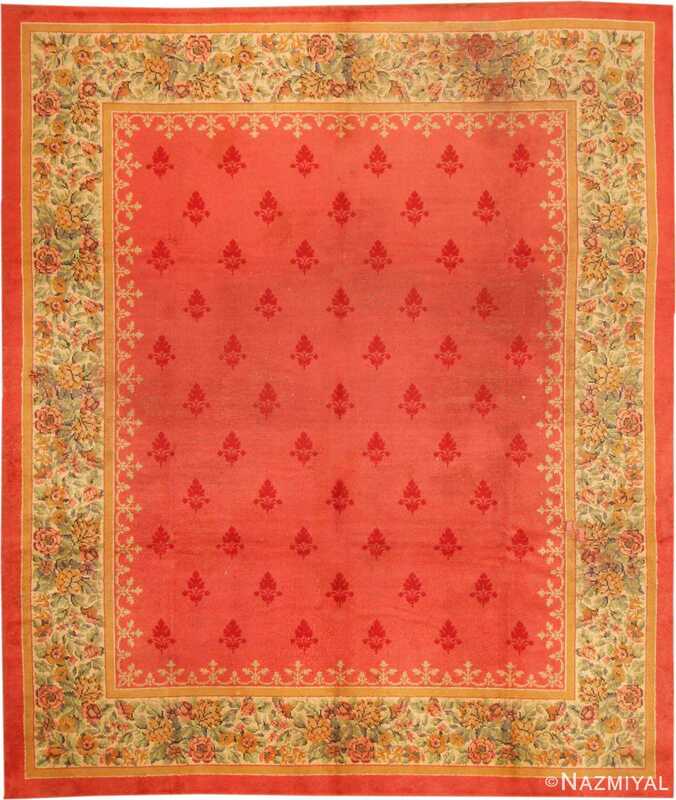 This stately antique English carpet has a delicate design of fleurons in staggered rows against a deep salmon ground. 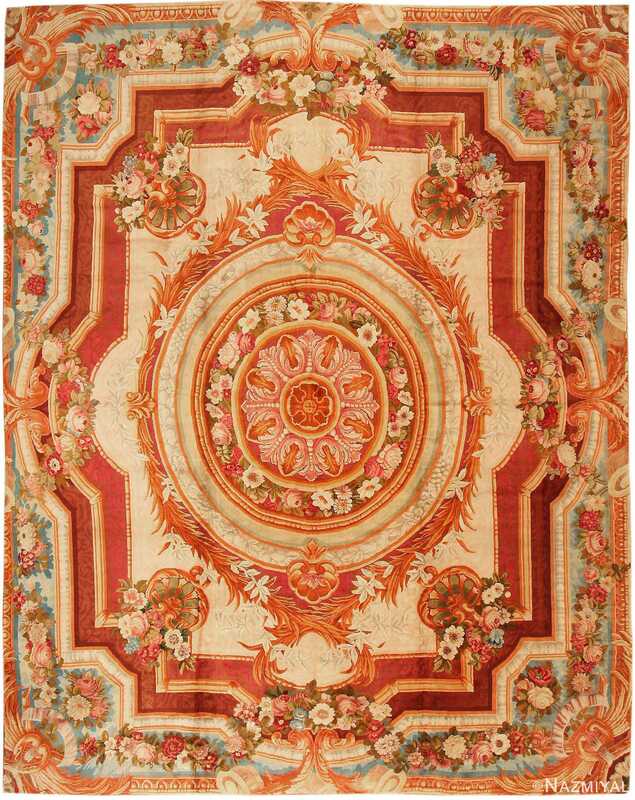 This resplendent 19th century carpet from Axminster is adorned with lush floral garlands, acanthus scrolls and ornate architectural details influenced by neoclassical designs imported from France.